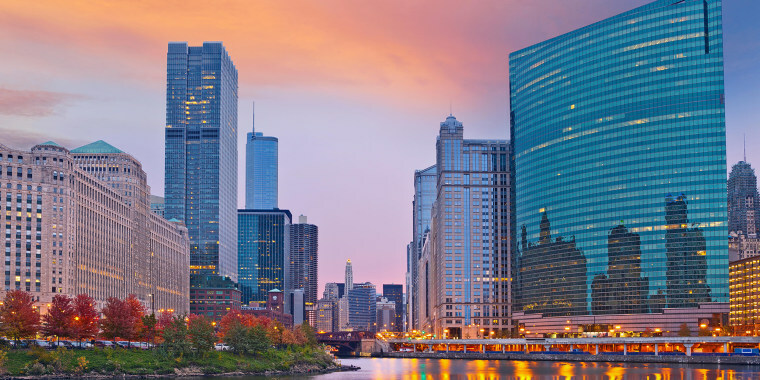 Worldly yet friendly, the Windy City will thrill kids with its skyscrapers, innovative parks and easy-to-reach beaches. Kid-friendly foods like hot dogs, pizza and popcorn are elevated to art forms, and no matter who you root for at home, it's worth watching the Cubs at Wrigley Field for a peek into baseball history. Shoreline Sightseeing runs 75-minute architecture cruises along the Chicago River; it's an easy way for first-time visitors to orient themselves to the city. Kids will love being on the country's only backwards-flowing river, even if they can't distinguish Gothic from Greek Revival just yet. During summer, the company offers evening trips to see fireworks. Cloud Gate is the large, reflective sculpture in Millennium Park. Pretty much everyone calls it "The Bean" and it's a necessary Windy City photo-op.With The 606, Chicago has embraced the trend of turning former railway lines into pedestrian green spaces. The pathway, which is shared by walkers, runners and bikers, connects the trendy neighborhoods of Logan Square, Bucktown and Wicker Park. The Field Museum's most famous resident is SUE, the largest and most complete T-Rex skeleton that's been discovered to date. Once you've paid your respects, meander through exhibits like the "Shrink Chamber," designed to give visitors the experience of being the same size as bugs, a shadow puppet performance at the Hall of China, or a 4,000-year-old Pharaoh boat in the Egyptian wing. The Hampton Inn Majestic Theater Chicago, just blocks from the Art Institute and Millennium Park, sits atop one of the city's best-known venues. Now called the CIBC Theater, it's hosted Hamilton since 2016, and has also shown blockbusters like Wicked, Book of Mormon and Rent. Traveling with an American Girl fan? The Intercontinental Chicago Magnificent Mile has a package centered around the popular dolls; children receive tiaras at check-in, while the doll gets a tote bag, T-shirt and bed of her own. A special breakfast and cupcake delivery are also included, as is a personal shopper to guide you through the nearby American Girl store. The Intercontinental's 14th-floor Junior-Olympic–size pool is a destination all its own. While waiting for their kids to finish splashing around, parents can appreciate the gorgeous deck's details like stained glass windows, marble columns and a terra cotta fountain that evoke the hotel's history as a 1920s architecture icon. Lou Malnati's is one of the oldest and most beloved deep-dish pizza chains. There are several locations, but the flagship Gold Coast outpost has outdoor seating and plenty of room to accommodate dinner crowds. Good things come in skillets at Crosby's Kitchen, like the hot cornbread served with maple butter and freshly baked cookies topped with ice cream. This tasty spot near Wrigley Field has made nearly every "kid-friendly" list thanks to smart touches like a stroller vallet, mini rotisserie chickens (the restaurant is famous for its slow-cooked birds) and even a child-sized sink in the communal hand washing area.